Hummus! Houmous! Hummous! Hommos! Humos! 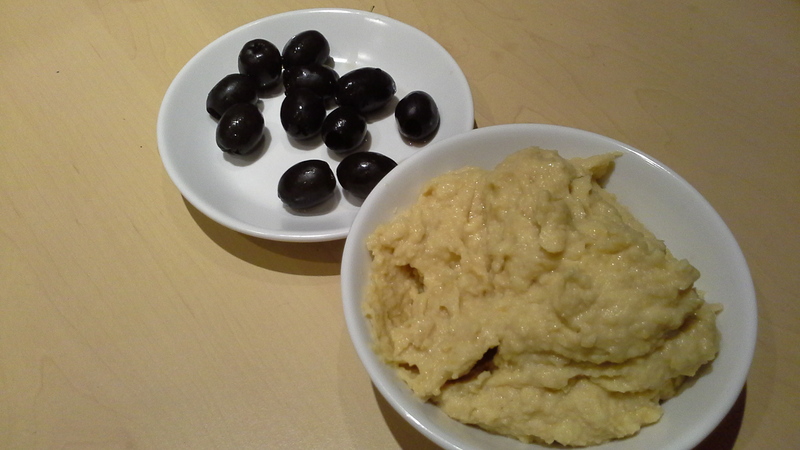 Hommus! Hoummos! Dawn: Is this a spelling test? Andrew: I’m saying nothing! Which ever way you spell it, this is a cheap and healthy addition to any lunchbox or as hors d’ouevres at a dinner party. Dawn: It is a staple of Middle Eastern cuisine, and once you have made this you will never go back to the shop bought variety again. You can tweak this to your own taste, too. Dawn: Soak your own chickpeas overnight and then cook them as set out in our “How to Rehydrate Dried Chick Peas” recipe at https://forfoodlovers.wordpress.com/2014/01/18/how-to-rehydrate-dried-chick-peas/. They quite literally are so easy to do and work out so much cheaper than buying tins. Andrew: Once prepared, this is such an easy dish to make that it is a really good starting point for children who want to cook good food. Place all your ingredients in a food processor and blitz or pulse until the hummus reaches your preferred texture. Dawn: Is that it? Insert your own actress/bishop line here! Andrew: As if I would! Andrew: I would! Will! But will refrain! Dawn: Humour aside, this can be served immediately with warm pitta, breadsticks, celery or carrot batons. I also like to add a clove of crushed garlic from time to time when I make this dish. Andrew: You can also do your own variations, simply adding roasted pepper, sundried tomato or coriander would make interesting flavour options. Just blitz them in the food processor when the hummus is done. For more fabulous and fun foodie tips keep following us at https://forfoodlovers.wordpress.com and our Twitter account @Love_Food_UK and like us on Facebook too. Thank you. Posted on February 22, 2014 by Love Food UK	• This entry was posted in Middle Eastern Cuisine, Quick easy meals and tagged Chickpeas, children's cooking, cooking for children, Easy cooking, Easy Recipes, houmous, hummus. Bookmark the permalink.